SalesBase CRM is a CRM solution designed with sales and marketing companies of any size in mind. Contact Integrate Software for pricing details. 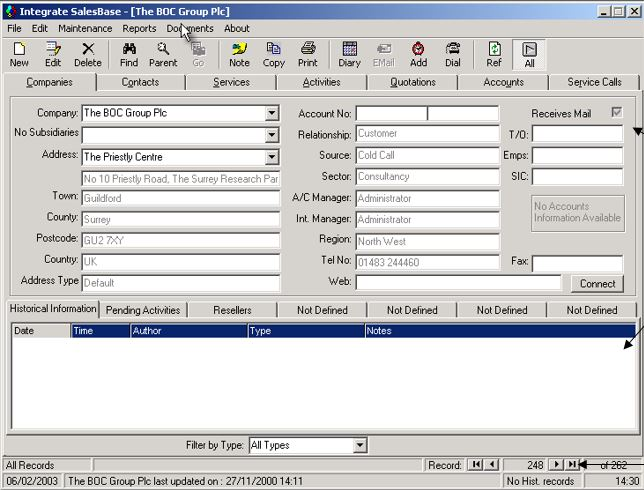 Customer Relationship Management, Contact Management and Business Information from a single UK CRM Software Product.